We work closely with one of the UK’s leading equine cardiologists in this very important area. 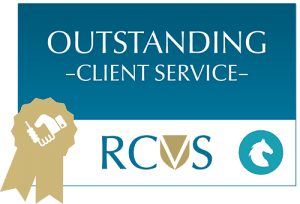 Lesley is a Royal College of Veterinary Surgeons recognised specialist in Veterinary cardiology and a Diplomate of the European College of Equine medicine. Though a specialist in veterinary cardiology, her case-load is exclusively equine and whilst based at the Animal Health Trust in Newmarket she made significant contributions into the understanding of heart murmurs and arrhythmias in athletic horses. In recognition of her contribution to this equine cardiology, she has just been invited to participate in the 2013 American and European College of Veterinary Internal Medicine Consensus statement entitled “Recommendations for equine athletes with cardiovascular abnormalities”. Lesley has been a specialist ambulatory consultant in equine cardiology for the last 9 years. She uses top specification ultrasound and electrocardiographic equipment, allowing her to give a comprehensive assessment of your horse’s heart either at the practice or if appropriate, at your own yard.